LONDON.- White Cube Hoxton Square presents 'Most Wanted', an exhibition of new work by Richard Phillips(on view until Mar 5 2011), his third with the gallery. Phillips' strikingly distinctive paintings are drawn from found imagery, which he uses to address the marketability of our wishes, identity, politics, sexuality and mortality. He translates these images into drawings before executing large-scale oil paintings through a traditional process. He thus examines the iconic nature of pictures, which the media and art world use daily - each according to its own agenda. 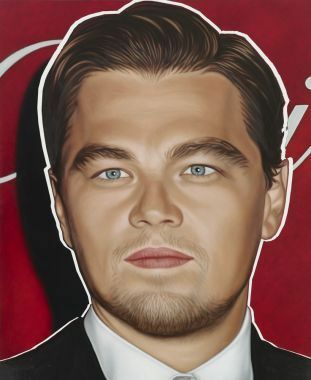 For 'Most Wanted', Richard Phillips selected ten of America's most instantly recognisable celebrities from the realms of television, cinema and music to create distilled portraits of young, powerful stars exhibiting their rehearsed, red-carpet expressions. 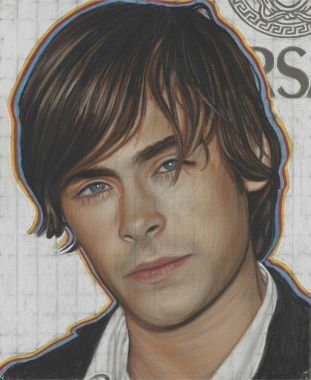 Phillips' two-metre high canvases of Chace Crawford, Kristen Stewart, Zac Efron, Miley Cyrus, Taylor Momsen, Dakota Fanning, Leonardo DiCaprio, Justin Timberlake, Taylor Swift and Robert Pattinson line the gallery walls, and Phillips has depicted these famous faces against 'step and repeat' backdrops, familiar to film premieres and awards ceremonies, which display a variety of luxury brand logos. 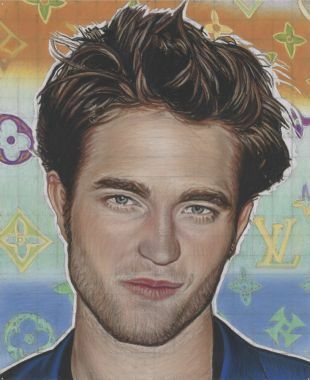 Each portrait features a bright, multi-colour halo, a reference to Richard Bernstein's illustrations from Interview magazine - the halo emphasises the electric stardom of these secular deities while simultaneously flattening their image, melding them into the brands they represent, as if on a decal or trading card. 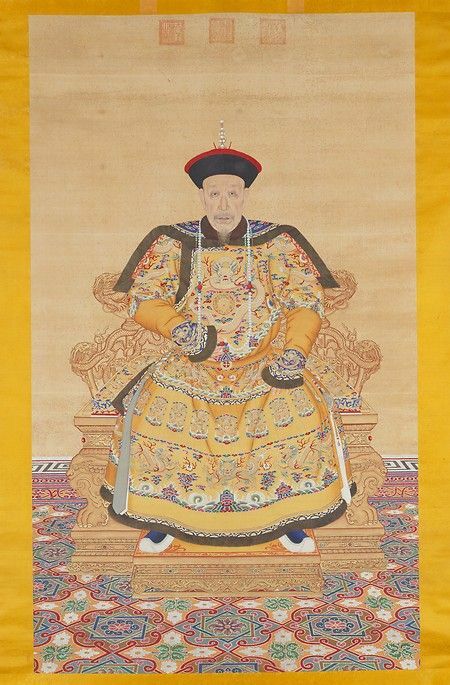 Phillips uses a traditional oil-painting practice that refutes photorealism and, with its luminous colours and meticulous detail, evokes the methods of Northern Renaissance painters. As a constant cascade of celebrity imagery crowds our visual environment, the language of painting slows the rush to a dead stop, giving us time to consider our relationships with these icons and the vested interests that support them. A strong sense of these personalities, as well as the self-consciousness of their well-rehearsed images, is communicated through the nuanced flesh tones and expressions. The celebrities depicted create for millions of people an experience beyond rationalisation. 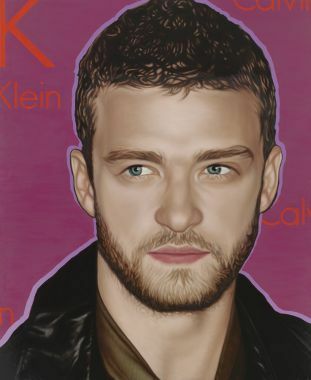 With this group of ten paintings, the artist proposes an immediate connection with mass audiences that have been categorically disenfranchised from the specialised interest of high art, inviting contemplation on the power of celebrity branding to shape the face of our future. Richard Phillips lives and works in New York. Solo exhibitions include Swiss Institute, New York (2010); Le Consortium, Dijon (2004); Kunstverein Hamburg (2002) and Kunsthalle Zürich (2000). He has exhibited his work in numerous group shows internationally including 'Size Does Matter', The Flag Art Foundation (2010); 'Face to Face', Denver Art Museum (2010); 'Pretty Baby', Modern Art Museum of Fort Worth (2007); 'Timer.01: Intimacy', Triennale Bovisa, Milan (2007); 'The Contemporary Face: From Picasso to Alex Katz', Deichtorhallen, Hamburg (2001); 'Greater New York', PS1 Contemporary Art Center, New York (2000) and the Whitney Biennial, New York (1997). Phillips' imagery has achieved a level of recognition outside of the art world, with fashion, media and film collaborations, including Gossip Girl, MAC Cosmetics, The Art Production Fund, Visionaire and a recent guest judge appearance on Bravo's TV series "Work of Art: The Next Great Artist." Richard Phillips lives and works in New York. Solo exhibitions include Swiss Institute, New York (2010); Le Consortium, Dijon (2004); Kunstverein Hamburg (2002) and Kunsthalle Zürich (2000). He has exhibited his work in numerous group shows internationally including 'Size Does Matter', The Flag Art Foundation (2010); 'Face to Face', Denver Art Museum (2010); 'Pretty Baby', Modern Art Museum of Fort Worth (2007); 'Timer.01: Intimacy', Triennale Bovisa, Milan (2007); 'The Contemporary Face: From Picasso to Alex Katz', Deichtorhallen, Hamburg (2001); 'Greater New York', PS1 Contemporary Art Center, New York (2000) and the Whitney Biennial, New York (1997). 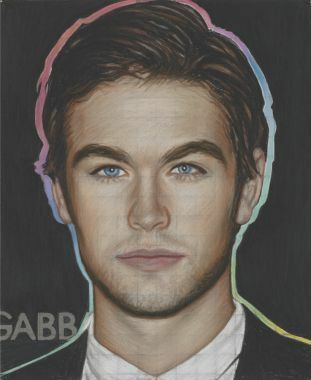 Phillips' imagery has achieved a level of recognition outside of the art world, with fashion, media and film collaborations, including Gossip Girl, MAC Cosmetics, The Art Production Fund, Visionaire and a recent guest judge appearance on Bravo's TV series "Work of Art: The Next Great Artist."